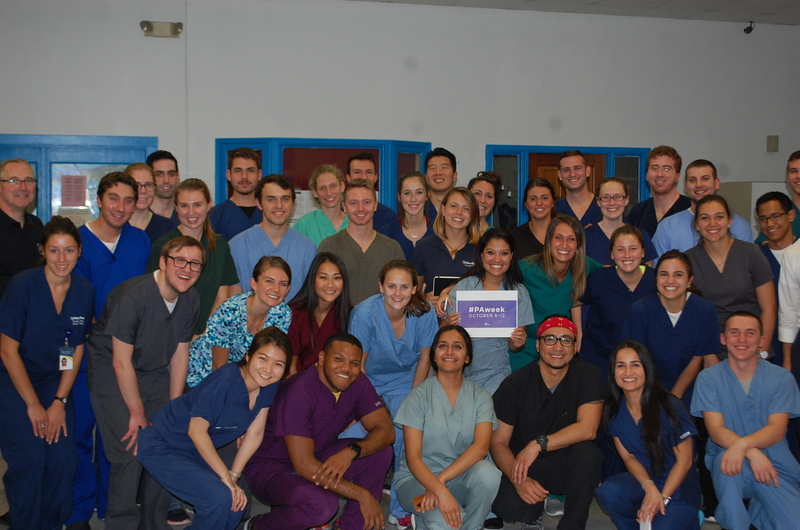 Quinnipiac University’s PA Program Class of 2019 celebrates PA week and the 50th anniversary of the profession. An interprofessional group of Quinnipiac physician assistant, medical, and occupational health students traveled to the New Haven homeless shelter to hold a foot clinic and provide preventative care as part of PA student service week. Quinnipiac University’s class of 2019 celebrates PA week with a gift of lunchboxes from the NCCPA.